NEW YORK — It was a startling scientific finding: Children who eat candy tend to weigh less than those who don’t. Less startling was how it came about. The paper, it turns out, was funded by a trade association representing the makers of Butterfingers, Hershey, and Skittles. And its findings were touted by the group even though one of its authors didn’t seem to think much of it. “We’re hoping they can do something with it — it’s thin and clearly padded,” a professor of nutrition at Louisiana State University wrote to her coauthor in early 2011, with an abstract for the paper attached. The paper nevertheless served the interests of the candy industry — and that’s not unusual. The comment was found in thousands of pages of emails obtained by the Associated Press through records requests with public universities as part of an investigation into how food companies influence thinking about healthy eating. One of the industry’s most powerful tactics is the funding of nutrition research. It carries the weight of academic authority, becomes a part of scientific literature, and generates headlines. “Hot oatmeal breakfast keeps you fuller for longer,” declared a Daily Mail article on a study funded by Quaker Oats. “Study: Diet beverages better for losing weight than water,” said a CBS Denver story about research funded by Coke and Pepsi’s lobbying group. It’s not surprising that companies would pay for research likely to show the benefits of their products. But critics say the worry is that they’re hijacking science for marketing purposes, and that they cherry-pick or hype findings. The thinner-children-ate-candy research is an example. It was drawn from a government database of surveys that asks people to recall what they ate in the past 24 hours. 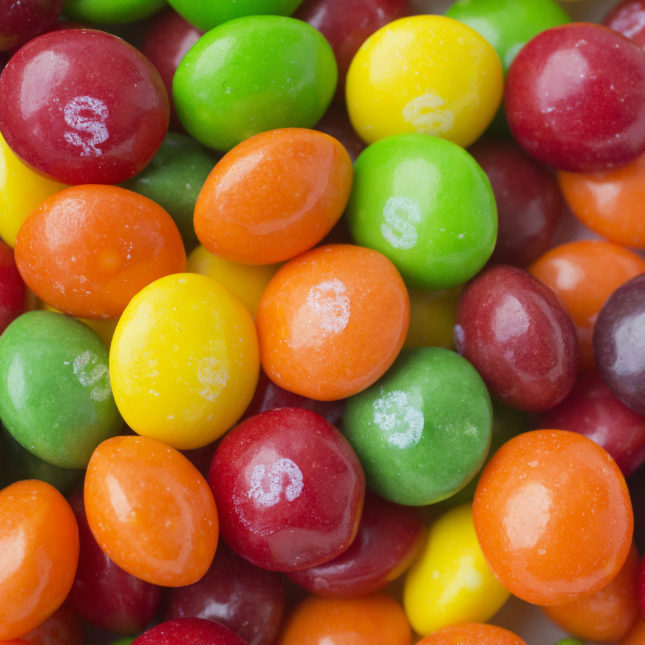 The data “may not reflect usual intake” and “cause and effect associations cannot be drawn,” the candy paper authors wrote in a section about the study’s limitations. The flood of industry money in nutrition science partly reflects the field’s challenges. Isolating the effect of any single food on a person’s health can be difficult, as evidenced by the sea of conflicting findings. Since 2009, the authors of the candy paper have written more than two dozen papers funded by parties including Kellogg and industry groups for beef, milk, and fruit juice. In a phone interview, Fulgoni said industry-funded studies show favorable results because companies invest in projects with the “best chance of success.” He said any type of funding creates bias or pressure to deliver results. “The same kind of questions you’re asking me, you should be asking (National Institutes of Health) researchers,” Fulgoni said. The documents show how researchers can be motivated by financial concerns. In 2010, Nicklas said in an email she decided against attending a General Mills health summit because she didn’t want to “jeopardize” a proposal the group planned to submit to Kellogg. For another project, Fulgoni advised O’Neil against adding data. “I suggest we focus on these first and ‘hook’ Kellogg for more funding before conducting more analyses,” he wrote. For the paper on candy-eating children, a disclosure says the funders had no role in the “design, analysis or writing of this manuscript.” But emails obtained from LSU show the National Confectioners Association made a number of suggestions. “You’ll note I took most but not (all) their comments,” Fulgoni wrote to O’Neil about the paper in 2010. “I have finally waded through the comments from NCA. Attached is my attempt to edit based on their feedback,” he wrote about a similar paper on candy consumption among adults. The trumpeting of their research was also carefully timed. In June 2011, a candy association representative emailed O’Neil a critical article about a professor with industry ties. “I’d like to monitor the fallout from this story, and give a little bit of distance to our research piece. I do not want to put you in the crossfire of a media on a rampage,” wrote Laura Muma of FoodMinds, an agency that represented the candy association. “It’s more using them as a set of eyes to make sure we haven’t forgotten something,” he said. For the paper about candy and children, Chris Gindlesperger, a spokesman for the National Confectioners Association, said the group was given “the courtesy of reviewing the manuscript” and that its suggestions did not change results. He said other research not funded by industry came to the same conclusion, citing a paper that analyzed multiple studies. O’Neil said she believed it was important to research foods such as nuts and milk to know whether they’re good for you, and that it is difficult to get government funding for such studies. She said Fulgoni’s consulting business, Nutrition Impact, gets most of the funding for their projects and that she receives reimbursements for costs such as travel, but no salary compensation. As research faculty, O’Neil is expected to publish. A Baylor College of Medicine representative, Lori Williams, said all research funding goes through the college. She said the college did not receive payment from the candy association or Nutrition Impact for the paper on children and candy coauthored by Nicklas. “We take this very seriously, and your information is of significant concern to our leadership at the College,” Williams wrote. Papers coauthored by O’Neil and Nicklas also list support from the US Department of Agriculture — general funding the two professors receive from the department through their respective universities for research work. Another paper by the coauthors found a link between chickpeas and hummus and better nutrient intake. It was funded by Sabra Dipping Co. and a disclosure says funders had no input in drafting the manuscript. The International Life Sciences Institute, which is funded by companies including McDonald’s, Red Bull and Unilever, encourages scientific collaboration with industry. Eric Hentges, its executive director, said sponsors have long been able to provide comments to ensure excellency, but that authors have the final say. “This could lead to increase(d) sales and profits,” wrote Jamie Baum, an assistant professor of nutrition. Coca-Cola’s former chief science officer, Rhona Applebaum, referred to industry critics as “trolls” in one of her regular emails with company-backed researchers, according to documents obtained from West Virginia University, where one of the researchers is the dean of the school of public health. “We must prepare and publicize ‘our message’ rather than let the media and other forces control the perception of our work,” the plan said. It noted an upcoming study that would “generate enormous press” because of its findings about mothers and obesity. “In other words, if you’re fat, blame your mother’s inactivity,” the plan explained. The oatmeal was more filling among the trial’s 48 participants, but results were mixed for the cereal, Quaker Oatmeal Squares. “I am sorry that the oat squares did not perform as well as hoped, but your hypotheses were validated with the oatmeal,” wrote Frank Greenway, chief medical officer at Louisiana State University’s Pennington Biomedical Research Center. PepsiCo decided to publish only the results about its oatmeal. In statements, PepsiCo and the LSU researchers said the other half of the trial’s results were not significant enough to merit publication. “That’s part of science. You publish the result you get. You don’t just publish the results you want,” said Deborah Zarin, who oversees the registry at NIH.